A majority of your target market is hooked on to those social networking sites. One cannot afford to ignore the many selling potentialities that Social Media offers. 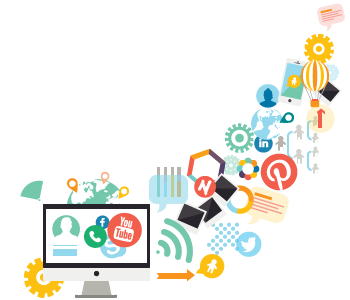 SMO services assist you in developing a social media strategy that has promotion on common social networks, communities, and blogs. SMO serves the twin purpose of making whole awareness on social networking sites additionally as driving vital volumes of qualified traffic to your web site.